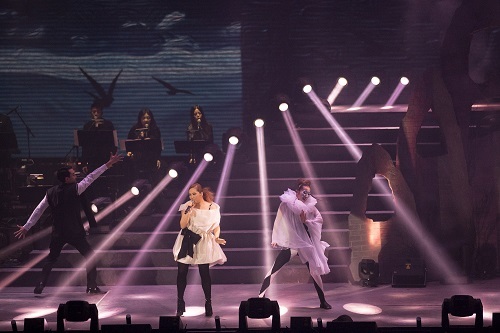 (Macao, Dec. 10, 2018) – Following the success of last year’s The Venetian® Macao concert, queen of Cantopop Janice Vidal will return to the Cotai Arena on Jan. 26, 2019 for Suncity Group Presents Janice OH MY JANICE World Tour 2019 Macao. Tickets go on sale on Dec. 11, 2018 at all Cotai Ticketing box offices. With her album sales exceeding 10 million, Janice has won numerous awards and toured China, including Hong Kong, Guangzhou, Foshan and Shenzhen, Southeast Asia, the US and Canada. As one of Hong Kong’s most popular singers, her songs invariably climb to the top of influential music rankings and score millions of hits online. Her new tour Janice OH MY JANICE World Tour, which kicked off in Hong Kong earlier this year, will thrill audiences with her classic hits such as “Streetlight Dinner” and “Butterfly”, as well as exciting new songs. Janice promises she will take fans to her inner world and reveal her most authentic self. 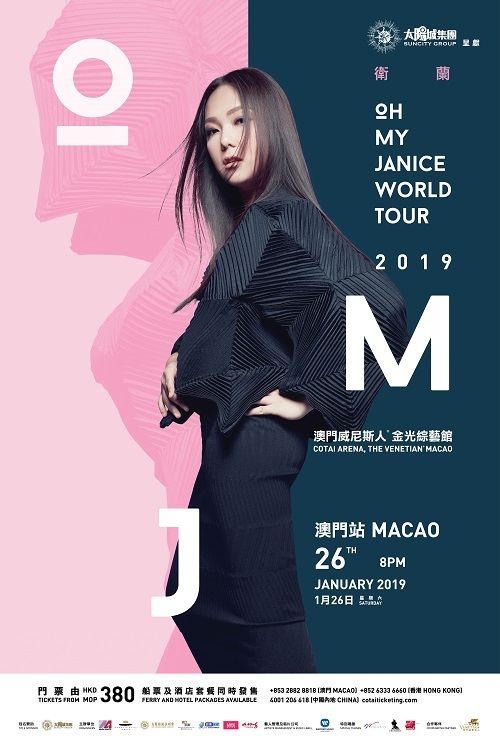 Don’t miss Suncity Group Presents Janice OH MY JANICE World Tour 2019 Macao for a superb concert night at The Venetian Macao’s Cotai Arena on Jan. 26. Date and Time Jan. 26, 2019 (Sat) 8 p.m.
Photo Caption: Queen of Cantopop Janice Vidal will return to The Venetian Macao’s Cotai Arena on Jan. 26, 2019 with her new Janice OH MY JANICE World Tour 2019 Macao.